Builder offering $2500 closing or install a new 3000 kw solar system MUST CLOSE BEFORE 3/31/19 when incentive expires. 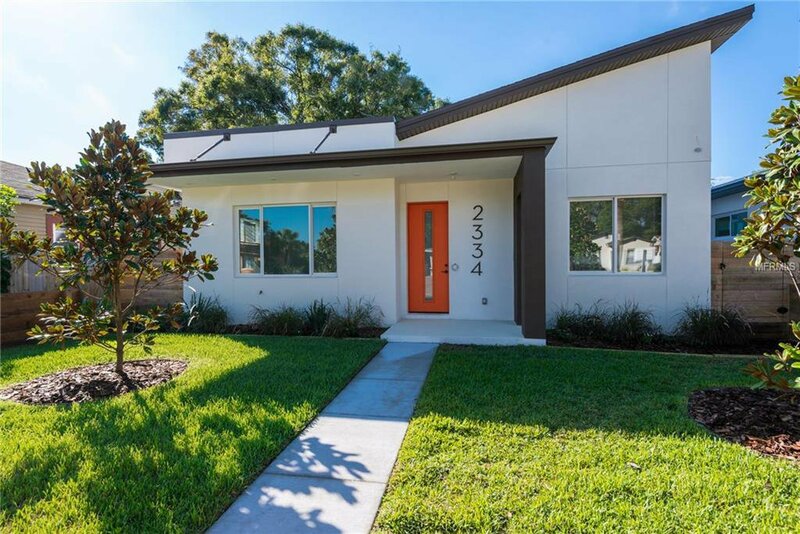 Experience Contemporary Living in a State-of-the-Art, New Construction, Energy Efficient Tech Ready Smart home here in the heart of Grand Central District of St Pete.DHM Construction surpasses expectations with this Open Plan living 2495 sf 3 bed 2 bath home.Equipped with hurricane impact windows and doors for safety and security, pre-wired for Control 4 Smart Home Technology. Fenced and landscaped with native influence. Interior features include 10ft ceilings, designer glass lamps, barn doors, walk in closets, porcelain tile throughout. Gourmet kitchen with Samsung stainless steel package, including 6 burner gas stove with hood, unique select granite, ambient lighting and 42” designer two tone Woodland cabinets. And, a walk around prep area–a chefs dream at home! Master Bedroom features custom oversized built-in closet including shoe racks, en-suite Master Bath comes custom made 96 in dual sink, rustic vanity and large frame-less glass 3 head shower. 2nd and 3rd bedrooms share a rustic and retro hall bath complete with tub/shower combination.Stand-alone 2 car garage with alley access, huge under roof porch with gas line. Beautiful landscaped yard. Urban living at its best with a walk score of 62 and a bike score of 75. If you want proximity to beaches, restaurants, boating, sporting venues and night life then this is the home for you.Information deemed to be reliable,but not guaranteed. Listing courtesy of DHM REAL ESTATE GROUP LLC. Selling Office: SMITH & ASSOCIATES REAL ESTATE.